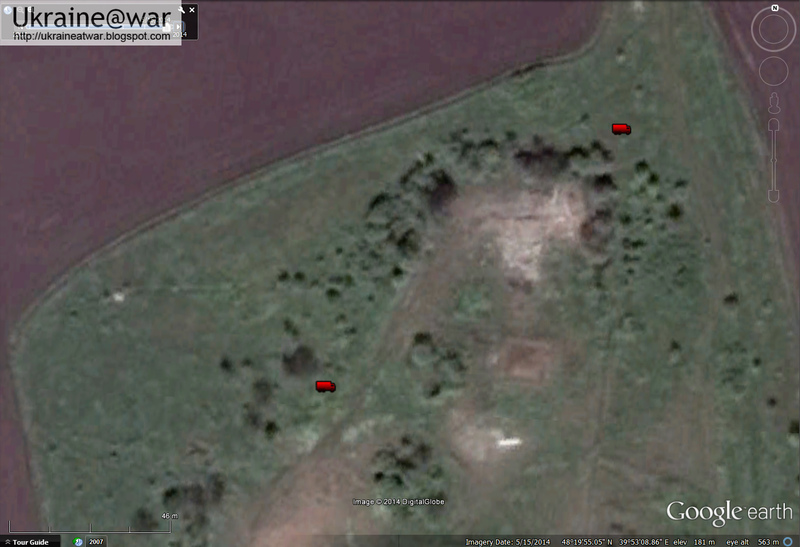 Google Earth has been very revealing lately because it updated a lot of areas with maps from August and September, thus showing positions and effects of the war between Russian and Ukraine. On July 14th a Ukrainian cargo-plane AN-26 was shot down. 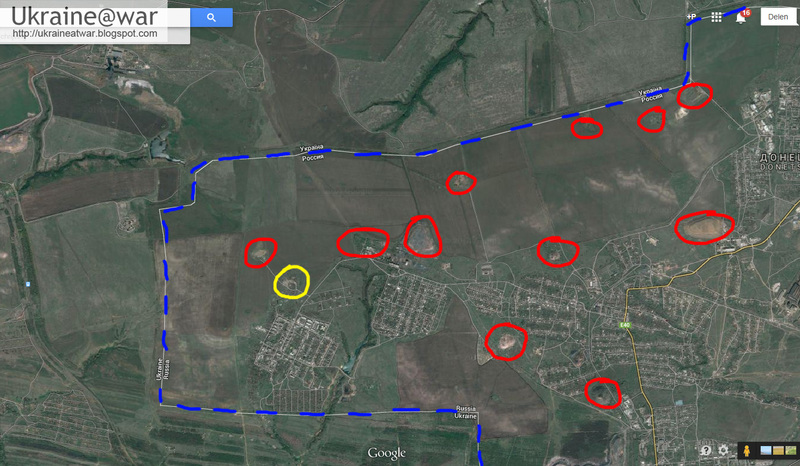 It had been dropping supplies to the Ukrainian units positioned at the borders and was about to return back home. It was shot down by a SAM which was recorded on video. 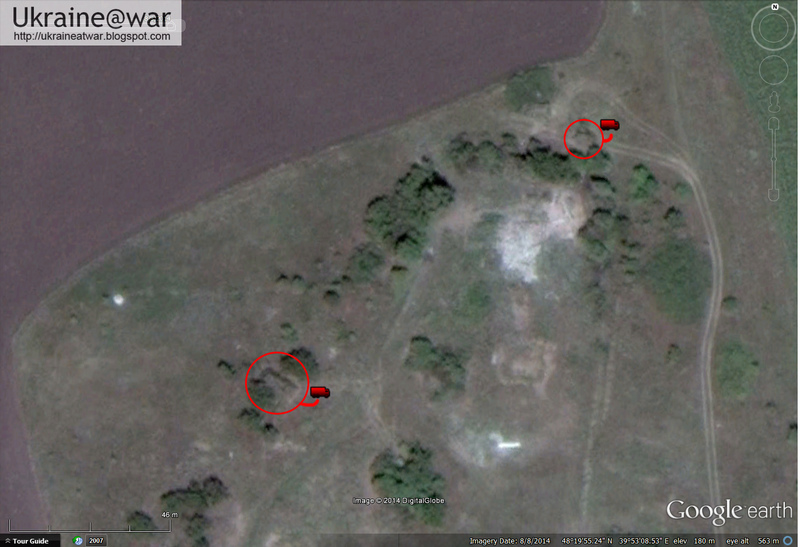 By geolocating that video it was possible to determine the approximate area where the missile was launched. The discussion at that time was whether this BUK was on Ukrainian territory or on Russian territory, or whether Russia had shot it down or the Russian proxies. With the updated maps I started to look there of course... and found it on the August 8th map! Two vehicles can be seen here. A big one (left) and a small one (right). The big one is the BUK of course and the small one may be a jeep or scout vehicle. The 8-8 map shows tracks, the area shows erosion from the use and clearly the two vehicles are present now. As can be seen this is EXACTLY on one of the predicted locations. The conclusion is: RUSSIA shot down this AN-26 FROM RUSSIAN TERRITORY. It is the first recorded incident of a direct attack from Russia onto Ukraine. 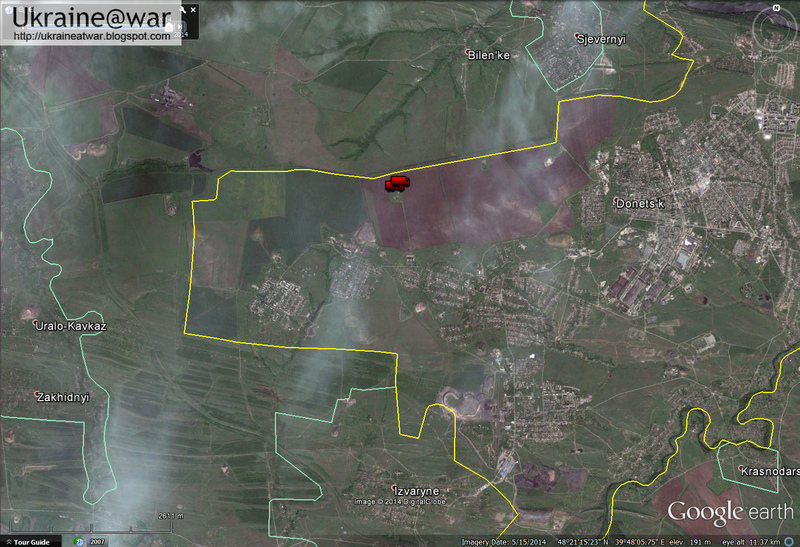 On July 11th there was an attack on a Ukrainian camp near Zelenopole with GRADs which destroyed the camp. It is SUSPECTED that this has been done from Russian territory too, but it could not be proven so far. See this blog. 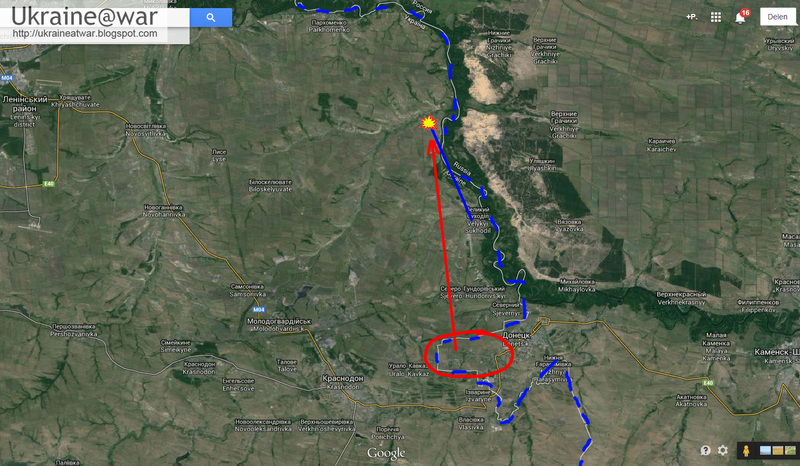 On July 16th it was recorded on video and proven that Russian GRADs attacked Ukraine from Gukovo. See this blog. As argued in this blog, the whole idea that the Russian proxies (also called rebels or 'separatists' by Western media) had captured a Ukrainian BUK is a fraud. They did not have a (functional) BUK. The only thing capable of shooting the AN-26 down is this Russian BUK here. A couple of days later on July 17th ANOTHER RUSSIAN BUK, that was especially driven into Ukraine for the occasion, shot down the civilian airliner MH17.